McNamara Pools, Courts and Landscapes design & construct projects in all areas of Melbourne and the Mornington & Bellarine Peninsulas. McNamara Pools, Courts and Landscapes utilise the finest materials and workmanship to deliver award winning and innovative results for their discerning clients. From concept to completion our company offers clients the peace of mind of dealing with a singular contractor for all aspects of their outdoor development. 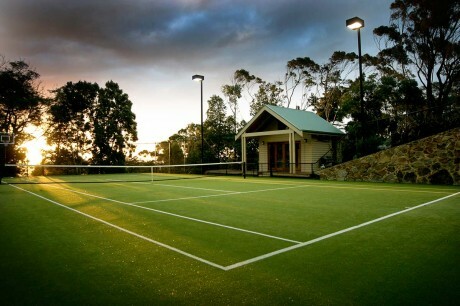 Since 1973 our company has forged an enviable reputation as Australia's premier tennis court construction company. A founding member of the Sports Contractors Association, the company has won an unprecedented 54 Tennis Court of the Year awards since 1993. Our client list includes 3 Wimbledon Champions-Pat Cash, John Newcombe & Ken Rosewall along with John Fitzgerald, Anne Minter & hundreds of satisfied home & club court owners. Proud members of SPASA our company specialises in constructing high end innovative swimming pools and spas. In 2012 we were proud to be recognised with a SPASA Gold award for "Best Residential Pool & Spa". In addition to this we also received 3 Highly Commended awards for other projects including the prestigious "Best Pool and/or Spa and Landscape Combination. These awards were a fantastic follow up to the 2011 awards where we received a Highly Commended award for "Best residential Courtyard pool". Our projects incorporate environmentally friendly pumps and filtration systems that ensure our pools are low maintenance and not just beautiful to look at. We also specialise in the installation of in-floor cleaning systems, automated control systems & retractable safety covers. 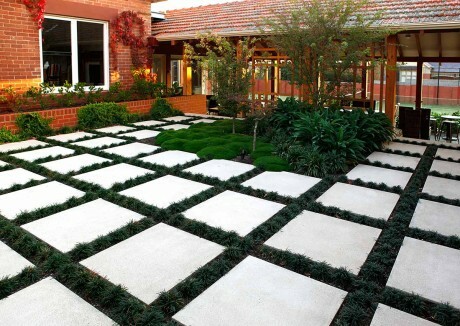 Recognised by Landscaping Victoria as a "Licensed Landscaper" our company offers clients the experience and expertise in providing the finishing touches to their garden area. Our comprehensive approach begins with our design service that commences with an on site assessment and results in the provision of detailed plans specifying materials for paving, decking, retaining walls as well as planting, irrigation & garden lighting. Upon commencement of works our experienced team of trades people utilise the finest in materials and workmanship to deliver a result which exceeds expectations. Please find below some further information regarding tennis courts & swimming pools. Follow the links below to discover more about our favourite products & associates.